Exclusive: Israeli officials are attacking on several fronts against people who support the BDS movement as a nonviolent way to pressure Israel to respect Palestinian human rights, writes Marjorie Cohn. On March 19, Israeli tax officials arrested Omar Barghouti, a prominent Palestinian human rights defender and co-founder of the Boycott, Divestment and Sanctions (BDS) movement. Omar and his wife Safa, an Israeli citizen, were detained for 16 hours and have been subjected to daily interrogation sessions. Barghouti’s arrest is indirect evidence of the growing strength of the BDS movement, a worldwide non-violent challenge to Israel’s illegal occupation of Palestinian lands, a protest campaign that the Israeli government has identified as an existential threat to Israel. Israel is particularly sensitive in light of the new United Nations report concluding that it has established an “apartheid regime” and recommending that national governments support BDS activities to challenge Israel’s illegal system of oppression of the Palestinians. The report was co-authored by Richard Falk, an international law expert and former U.N. Special Rapporteur on human rights in the occupied Palestinian territories. Last year, the Israeli Ministry of Strategic Affairs established a “tarnishing unit” to tarnish the reputation of BDS human rights defenders and networks. According to the Palestinian Boycott, Divestment and Sanctions National Committee, the “inflammatory fabrications” against Omar Barghouti constitute the “latest chapter of repression and intimidation” against him. For years, various arms of the far-right Israeli government have subjected Barghouti to intense threats, intimidation and repression. The investigation of Barghouti is part of Israel’s “systematic efforts to criminalize the BDS movement, intimidate activists and stop free speech,” the Committee said. The latest travel ban against Barghouti, imposed in connection with the investigation, coincidentally comes shortly before he is scheduled to travel to the United States to accept the Gandhi Peace Award, along with Ralph Nader, at Yale University. During the same conference, Yisrael Katz, Israel’s intelligence minister, called for attacks on BDS leaders. Katz utilized the same Hebrew word the military uses for “targeted civil elimination,” or civil assassination. Aryeh Deri, Israel’s interior minister, told attendees at the conference that he might revoke Barghouti’s residency permit. “This latest desperate chapter of repression and intimidation by the Israeli government against Omar Barghouti is the strongest indicator yet of the failure of the Israeli regime of occupation, settler-colonialism and apartheid to slow down the impressive growth of the BDS movement for Palestinian rights,” the Committee stated. BOYCOTTS involve withdrawing support for Israel and Israeli and international companies involved in violations of Palestinian human rights, as well as complicit Israeli sporting, cultural and academic institutions. SANCTIONS campaigns pressure governments to fulfill their legal obligation to hold Israel to account by ending military trade, free-trade agreements and expelling Israel from international forums. BDS was a major factor behind the 46 percent drop in foreign direct investment in Israel in 2014, according to a U.N. report. Israeli exporters have repeatedly complained that it is getting harder to export products to Europe. A World Bank report reveals that Israel’s exports to the Palestinian economy dropped by 24 percent in the first quarter of 2015. Investors who have divested from companies targeted by the BDS movement include government pension funds in Sweden, Norway, New Zealand and Luxembourg. Investors include George Soros, the Bill Gates Foundation, the huge TIAA-CREF public sector pension fund in the U.S., Dutch pension giant PGGM and Norwegian bank Nordea. BDS initiatives have been passed by more than 50 councils in Spain and by dozens of other councils in the U.K., Australia, Sweden, Norway and Ireland. 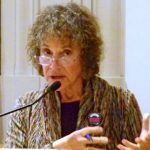 U.S. churches, including the Presbyterian Church USA, the United Church of Christ and the United Methodist Church (UMC), and several Quaker bodies have voted to divest from Israeli and international companies targeted by the BDS movement. Academic associations in the U.S., Canada, Ireland, South Africa and the U.K. have voted to support BDS. Thousands of artists and cultural figures, including Roger Waters, Marcel Khalife and Alice Walker support the cultural boycott of Israel. Lauryn Hill, Elvis Costello and Vanessa Paradis have canceled shows in Israel. World renowned scientist Stephen Hawking refused to attend a conference hosted by former Israeli president Shimon Peres. The Chilean government suspended free trade agreement talks with Israel during its 2014 attacks on Gaza. Bolivia and Venezuela have cut diplomatic ties with Israel. Brazil refused to appoint a settler leader as Israeli ambassador to the country. The University of Johannesburg severed its ties with Israel’s Ben-Gurion University. More than 30 U.S. student associations and 11 Canadian student associations have voted to support divestment from Israeli apartheid. BDS is supported by the U.K. National Union of Students, 30 other U.K. student unions and student organizations in Belgium, South Africa, Brazil, Chile and beyond. SodaStream closed its factory in the illegal Israeli settlement of Mishor Adumim following a high-profile boycott campaign against the company that saw retailers and investors across the world cut links with the company. SodaStream is still a major target of the BDS movement because it is a high-profile Israeli export, and the company was complicit in the ethnic cleansing of Palestinians in the Naqab (Negev) in the south of Israel. French telecom Orange left the Israeli market, in response to BDS campaigns in France and Egypt about the role Orange’s Israeli franchise holder played in supporting the Israeli military, its attacks on Gaza, and its involvement in illegal Israeli settlements. G4S announced plans to sell its Israeli subsidiary after the international Stop G4S campaign cost the company millions of dollars in lost contracts. The Bill Gates Foundation cut its ties with the company. G4S provides security services and equipment to Israeli checkpoints, illegal settlements, and prisons where Palestinian political prisoners are held without trial and subjected to torture. G4S has a record of breaking promises to end its support for Israeli apartheid so the campaign against G4S is ongoing until the sale is complete. French multinational Veolia withdrew from Israel after a BDS campaign over its role in Israel’s colonization of Palestinian land, resulting in billions of dollars in lost contracts. Israeli state water company Mekorot lost contracts in Brazil, Argentina, Portugal and the Netherlands. Community mobilizations during Israel’s 2014 attack on Gaza prevented Israeli ships from docking at a port in Oakland, California, after actions by dockworkers at ports in South Africa, Sweden and India in recent years. The E.U. has introduced rules prohibiting funding of Israeli companies and bodies based in illegal Israeli settlements and has warned businesses about the risks of doing business with illegal Israeli settlements. Marjorie Cohn is professor emerita at Thomas Jefferson School of Law, former president of the National Lawyers Guild, and a member of Jewish Voice for Peace. See her website: http://marjoriecohn.com/ and follow her on Twitter @MarjorieCohn.